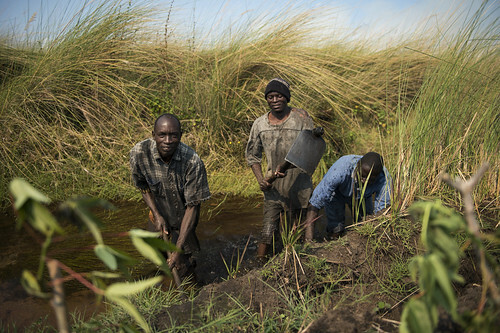 Canal clearing in the Barotse Floodplain has reduced the impact of flooding and opened up larger farmlands for families to grow crops and graze livestock. Every year Zambia’s Barotse Floodplain is inundated by seasonal rain, transforming its expansive, flat grasslands into an immense inland sea. Home to more than 240,000 people, the 1.2 million hectare plain is traversed by a network of man-made canals that deliver water to homes and farmlands during drier months and reduce the severity of flooding during the wet season by carrying floodwater away from villages and farms. 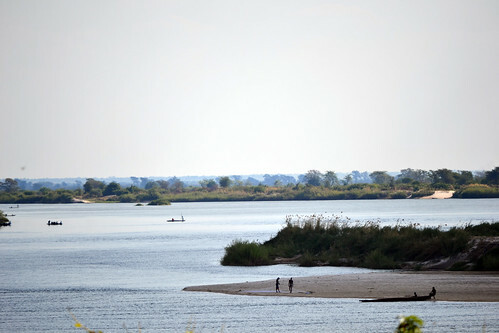 The 400-year-old canals also serve as passageways for canoes to travel between villages and markets and are integral to cultural ceremonies held by the region’s “Lozi” people. Traditionally, clearing these canals of mud and weeds was an annual event that brought together men, women and youth from the surrounding communities. After the country’s independence in 1964, the responsibility for maintaining the canals moved from the hands of traditional leaders to the newly formed Zambian Central Government. 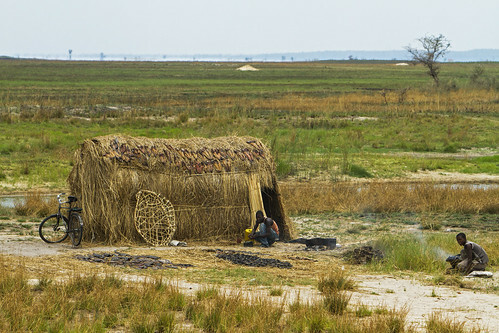 Faced with high rates of poverty and hunger, the government implemented a scheme that offered Zambians food or money in repayment for work, including clearing the canals. A decade later, unable to sustain the program and recognizing that the communities should take an active role in managing their landscape, the government ended the ‘food for work’ program. “So when the government stopped providing that kind of assistance, people became lazy, we could not work anywhere without being paid," recalls George Mubita Munalula, who has been farming on the plain for more than 30 years. The practice was eventually lost and when the channels became blocked and overgrown the communities struggled to cope with the consequences. “When our fields were flooding again like that, there was hunger because there was limited space where we could farm,” says George. 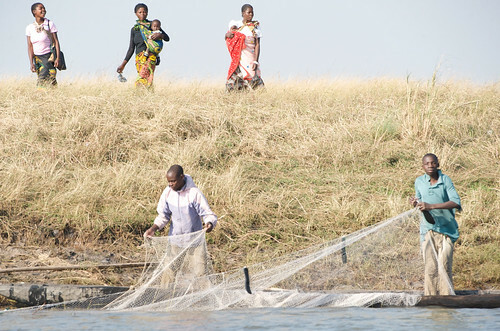 In 2012, the CGIAR Research Program in Aquatic Agricultural Systems (AAS), began working with ten communities in the Barotse Floodplain, where more than 83% of the population lives in poverty. The program seeks to reduce poverty and improve food and nutrition security for small-scale fishers and farmers who depend on aquatic agriculture systems by partnering with local, national and international partners to achieve large-scale development impact. “When the AAS program was introduced, the community was asked to reflect on the question: “Where do you want your community to be in the next five years?” This was aimed at helping the community to form our own dream, our own vision of our place in future, to see how we could help ourselves. So we identified hunger as the main problem,” explains George, who acts as a facilitator during community discussions. “Then we asked ourselves what actions we could take to address the problems and one of the actions was to clear the canals so we could free up land that is usually flooded,” he says. This method of working in partnership with the community to design the program is part of an approach called “participatory action research”, which resonates with George and his community. “When you think together as a group there is the sense of ownership which develops, you get a lot of ideas from the members of the community,” he says. The revival of canal clearing has allowed families to access fertile, nutrient-rich soils that were once submerged beneath floodwater. “The fields are dry on time and we are growing a lot of different crops… Our fields are becoming larger and even the grazing pasture for our animals is big. This year we have a lot more crops than any other year past,” George says. “It has made our life easier as a family because from the crops we sell, we can provide anything the family needs like buying school books, taking the family to hospital, even buying clothes,” he adds. 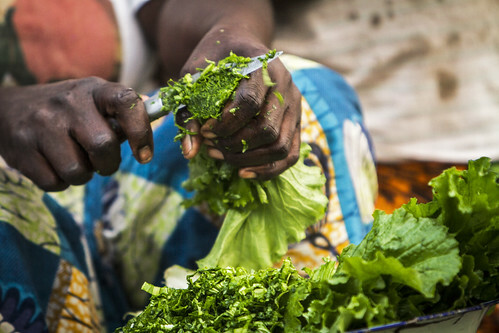 Greater harvests mean George’s family can include more vegetables like tomato and sweet potato in their meals, which used to consist of only two plates of maize meal per day. In a country where more than 45% of children under five-years-old are stunted and 64% of the population survive on less than $USD1 per day, improving the ability of women and men to take advantage of their natural resources is vital. Number of women involved with the project. Along with 116 men and 24 youths.